Kia is unleashing the third generation of the Sportage for the 2017 model year with updated styling outside, including a redefined grille, new fog lamps, new headlights, new taillights and an overall sleek appearance. Inside, the passenger cabin is more driver-oriented, and the dash takes on the same look of width as the exterior. A new instrument cluster boasts a small LCD screen in the middle with the option for different color schemes and the infotainment system is available with a seven- or eight-inch display screen. We have yet to receive engine specifications for the U.S. market, but over in Europe, customers have the option between two gasoline engines and three diesels with output ranging anywhere between 113 horsepower and 182 horsepower. As a competitor to models like the Nissan Rogue and the Mazda CX-5, the Sportage looks to push the envelope for quality and economy without being too expensive in such a competitive segment. With that said, the Sportage is available in three trim levels with prices ranging from $22,990 for the entry-level LX trim, all the way up to $34,000 for the range-topping Sportage SX. With a long list of optional packages and add-ons, the Sportage could end up being fairly cheap or somewhat expensive if you go for a fully loaded crossover. 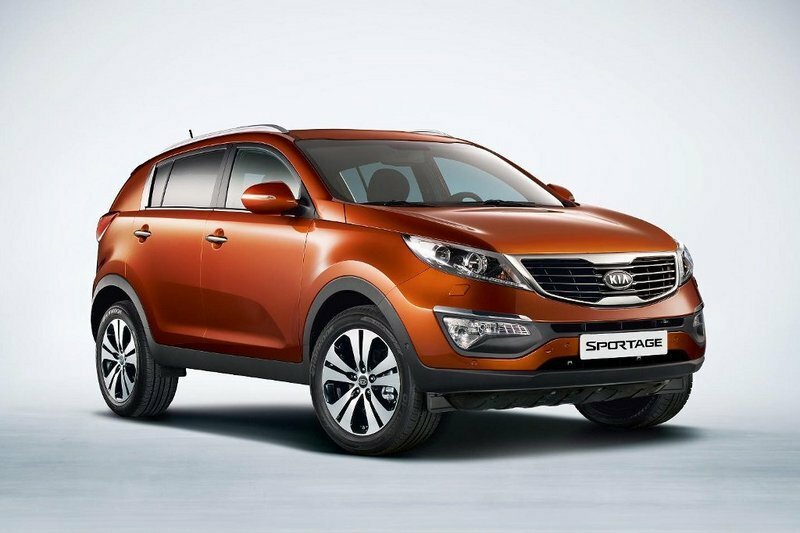 The sportage is now and its third generation and only time will tell how well it performs during its lifecycle. But, you can make your own decision about the Sportage for yourself by checking out our detailed review below. Updated 02/22/2016: Kia announced prices for the all new 2017 Sportgae which will go on sale later this spring. Prices will range from $22,990 to $34,000 depending on the trim version. Continue reading to find out more about the 2017 Kia Sportage. 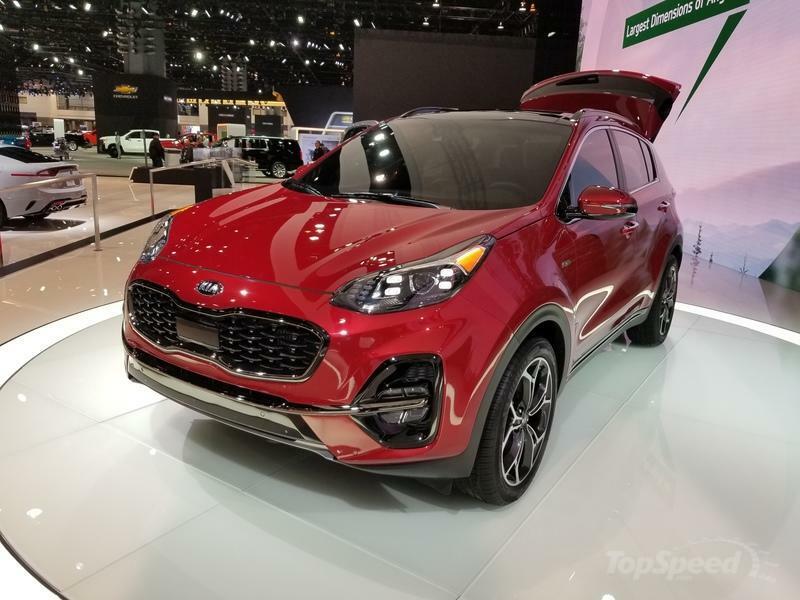 Proudly sitting as the main attraction at Kia’s 2019 Chicago Auto Show stand, the new 2020 Kia Sportage introduced us to a number of novelties, most important of which is its amazing standard safety pack. The subtle facelift touched the 2020 Kia Sportage’s front and back end and gifted low-end models with even more tech. While this is basically all that’s important on the newest Sportage, it seems that this compact SUV really doesn’t need more improvement. It is a value-centered compact SUV, and it does all it should really well. After all, it does have some legacy to defend. Believe it or not, the Sportage was the first car with a knee airbag back in 1998. Heck, it is even the first vehicle to complete the Paris-Dakar rally and the Baja 1000. It did it in 1993 and 1995, respectively. While Kia is not really big on promoting these facts, I can tell you that the new Sportage really does epitomize the safety proves and the sporty character of its predecessors. Kia revealed a slightly refreshed 2020 Kia Sportage at the 2019 Chicago Auto Show. The new compact crossover is only slightly touched up with new details up front and some cool tech inside. However, closer inspection does suggest that Kia designers reimagined numerous design cues on the crossover that grew into a modern compact crossover. Changes inside aren’t as profound, but still, Kia designer team did a bit of TLC and even offered some new features for the beloved Sportage. On the other hand, we have an all-new 2020 Kia Sportage S next to the LX, EX, and SX models. The South-Korean manufacturer seems to have a lot on its plate already. Kia has been one of the top automakers to adopt electrification in its portfolio. At a point where other manufacturers would probably focus on stabilizing the sales of their present electrified models, Kia is relentlessly working towards increasing its fleet of plug-in hybrid models to counter CO2 emission regulations all across the globe. This is what commitment looks like: competition! To this end it’s not trivial to know which of these 4x4-aping high riders are best out on the open (and sometimes twisty) road, since it’s where they will spend most of their time. But don’t go thinking that they are on par with more conventional car shapes, because their higher center of gravity and usually higher mass will affect handling. It’s wasn’t long ago that we told you that Kia was working on a Mild Hybrid drivetrain. And, just as promised, that drivetrain has made its debut in 2018, right along with what Kia considers a facelift for the 2019 Sportage SUV. Introduced in 2010, the third-gen 2011 Kia Sportage now stands as the oldest model in Kia’s vehicle lineup, but that won’t be the case for much longer. 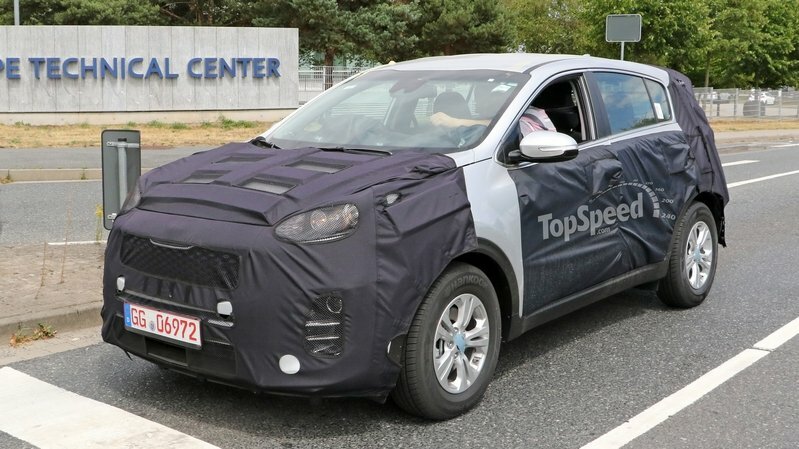 New spy shots captured near Hyundai’s European technical center give us a more revealing look at the next-generation 2016 Kia Sportage, both inside and out, ahead of an expected global debut next month in Korea. Though it’s still wearing heavy camouflage, it is easy to see that this new Kia Sportage will be an evolution of the current design. This is evidenced by the fact that this prototype reveals a similar roofline and side window opening as today’s Sportage, but it does so with some obvious length added. The new Kia Sportage will continue to share its platform with the new Hyundai Tucson, which recently debuted with proportions that are longer and wider than its predecessor. The upcoming Kia Sportage will definitely get a fresh look, with a completely restyled front end that includes a more upright version of the Kia tiger nose grille, and new fascia, fenders, headlights and hood. Likewise, the rear of the Sportage will have a restyled fascia and liftgate to tie in with newer Kia designs. The biggest story about these spy shots is the interior showing a completely redesigned cabin, with a new instrument panel, gauges, center console and even seats. Still unknown is the powertrains that this Kia Sportage will offer, but looking at the 2016 Hyundai Tucson gives us some good clues. European customers will have a broader range, including a 1.6-liter turbocharged gasoline four-cylinder as the base engine and an optional 1.7-liter diesel, and the U.S.-spec will likely bring the Tucson’s base 2.0-liter direct-injected four-cylinder paired to a six-speed automatic and an optional 1.6-liter turbo and direct-injected four-cylinder mated to a seven-speed dual-clutch automatic. 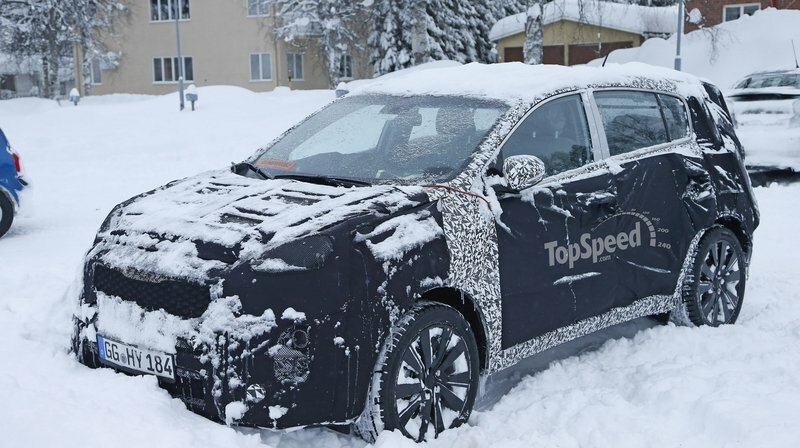 Our spy photographers have captured Kia in the midst of cold-weather testing its fourth-generation Sportage crossover. With a restyled front and rear fascia, along with a new interior, the 2016 Sportage should raise the bar for its category. The Sportage has been a solid crossover offering in a highly competitive segment in recent years, and for 2014, Kia is giving it a slight makeover in hopes to keep it competitive. Although the Sportage has been around longer than Kia might care to remember (1993-2010), the CUV got a very nice, ground-up redo for 2011 after Hyundai/Kia hired Peter Schreyer from Audi to be their Chief Design Officer in 2006. Once the Sportage went under the Schreyer knife, the CUV’s popularity skyrocketed with its much more handsome appearance and resemblance to its other Kia cousins. That third generation is still ongoing, though for 2014, the Korean automaker has reshaped its front end ever so slightly and added a few bells and whistles to keep buyers interested. Sales for the Sportage spiked in 2011 when the third generation came to market, beating the previous year’s 23,873 sales figures by over double at 47,463. Since then, sales have steadily slumped to only 32,965 units sold for 2013. 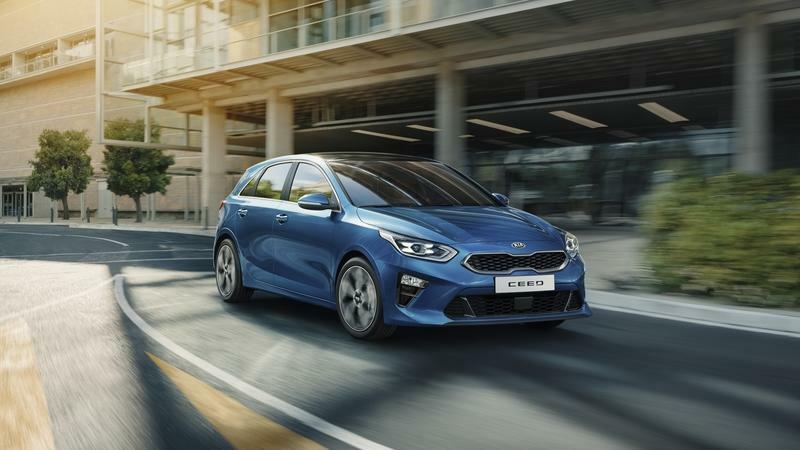 A slightly altered look, swanky new interior features, and a revised engine seem to be what Kia’s hopes for a brighter sales forecast are riding on. The question is, will those new additions be enough? Starting with the exterior, Kia has given the Sportage a more three dimensional design that seems to convey a higher level of refinement to the CUV. Backing up that perceived refinement is an updated infotainment system that relies heavily on voice commands that help keep the driver’s eyes on the road and hands on the wheel. Lastly, a revised base engine adds power the Sportage by bringing direct injection to the table. 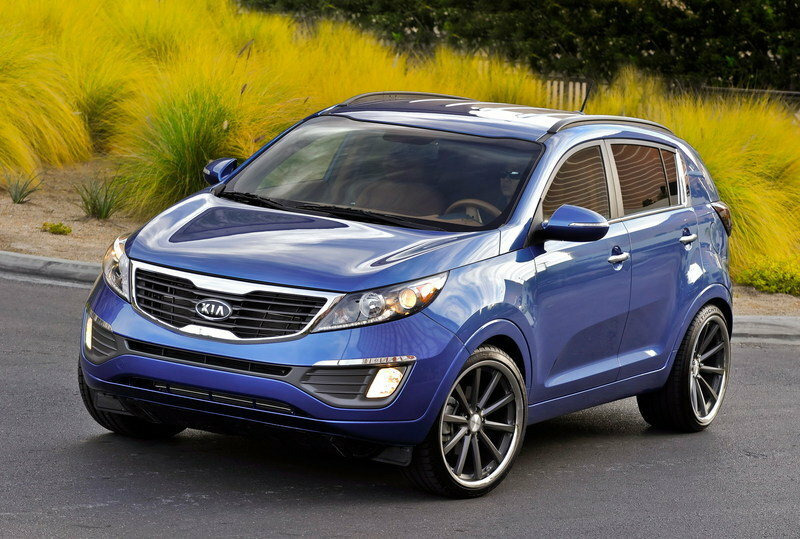 Click past the jump to read more about the 2014 Kia Sportage. The latest installment of Kia’s superhero lineup was finally unveiled at the New York Auto Show. 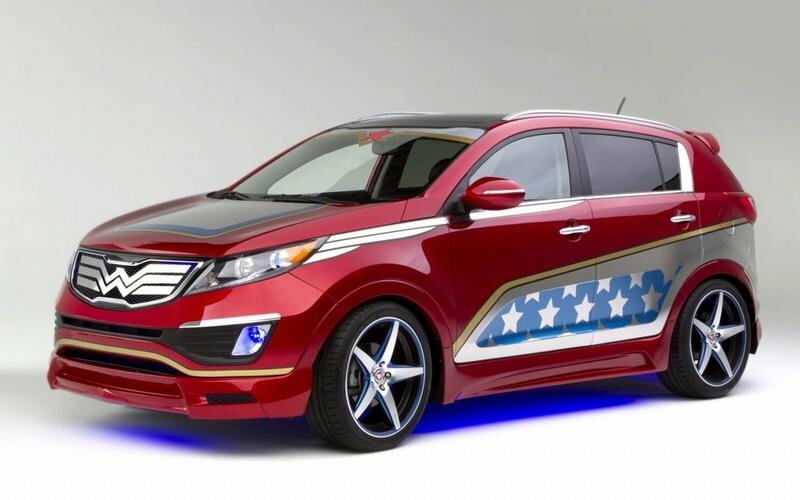 This time, DC’s Wonder Woman was the recipient of the Korean automaker’s superhero-themed vehicles. The Sportage Wonder Woman is actually the seventh of an eight-vehicle partnership between Kia and DC and for what it’s worth, it’s one of the better ones we’ve seen come out of the unique collaboration. The exterior of the Sportage features a truly unique aerodynamic look with a red and blue exterior scheme that comes accented with the same stars Wonder Woman has in her get-up. Notice also the gold trim found throughout the vehicle; that’s a nod toward the heroine’s golden lasso. On the front, Wonder Woman’s famous eagle chest plate is prominently featured and integrated into the Sportage’s grille with matching blue headlight beams representing her eyes. Rounding out the exterior modifications is Wonder Woman’s tiara, which is clearly visible on top of the Sportage’s windshield. The chrome side panels on the vehicle that serve as graphical interpretations of her invisible jet and the five-spoke wheel design complete the wonderful work done on the exterior to pay homage to DC’s resident super heroine. Moving inside, Kia continued the Wonder Woman-inspired theme with red upholstery and dash pieces, as well as blue LED lighting to match the exterior treatment. There are also custom seats bearing Wonder Woman’s costume with embroidered logo prominently featured. Last but not least is the cargo area of the Sportage, which has a see-through panel displaying Wonder Woman’s full list of crime fighting accessories, including her tiara, bracelets and a glowing Lasso of Truth. 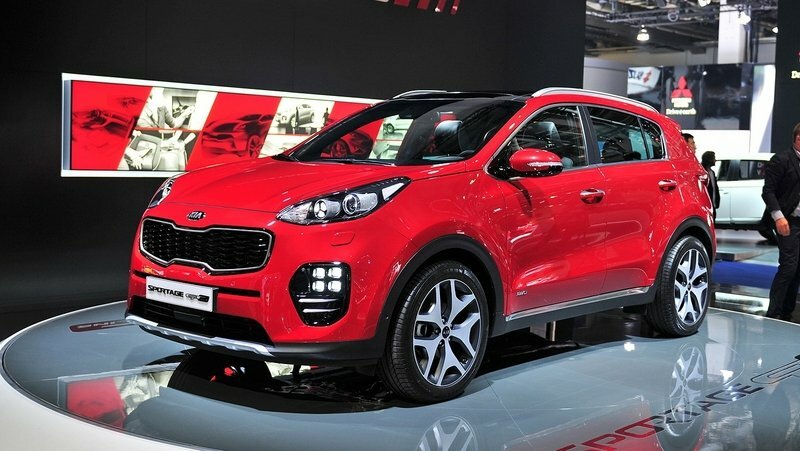 Kia UK has just added a new top of the line version to its Sportage line-up. 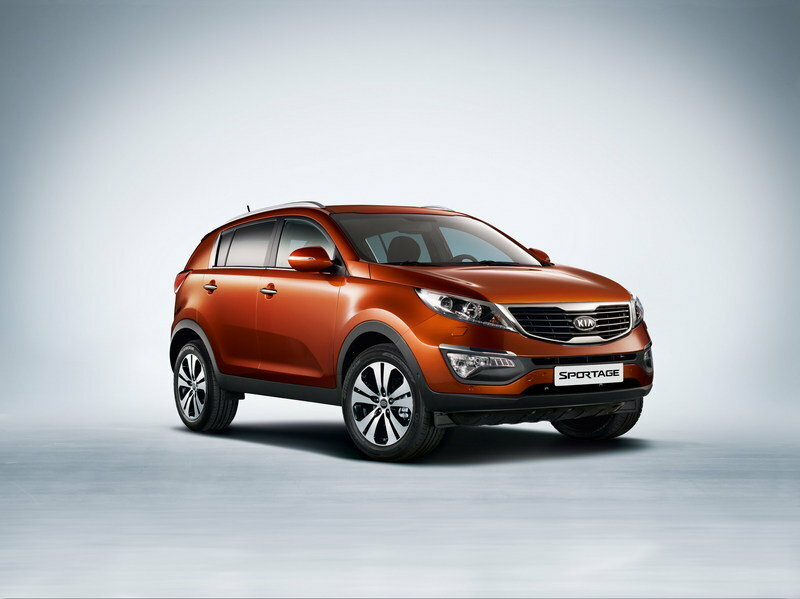 The new Sportage KX-4 features a higher output turbodiesel engine alongside the most luxurious level of specification. The model is on sale starting July 2nd, 2012 at a price of £27,195 (about $43,000 at the current exchange rates). The new KX-4 is powered by a 2.0-litre CRDi "R" engine that delivers a total of 181 HP at 4,000 rpm and 282 lbs-ft of torque delivered from just 1,800rpm to 2,500rpm. 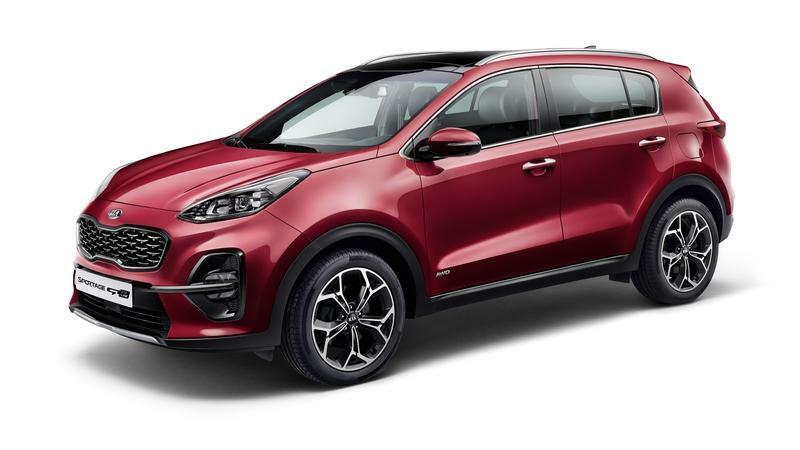 When mated to a six-speed manual transmission, the new Sportage KX-4 will sprint from 0 to 60 mph in just 9.4 seconds and up to a top speed of 120 mph (121 mph when equipped with an automatic gearbox). The list of standard equipments is quite impressive and includes: a full leather upholstery, 18" alloy wheels, privacy glass, seven-inch touchscreen satellite navigation system with EU mapping, Xenon lights, automatic lights and wipers, panoramic sunroof, dual-zone climate control, heated front and rear seats, cruise control, iPod connectivity, colour reversing camera and a seven-speaker stereo complete with external amplifier and sub-woofer. Kia has added a new trim level to their successful Sportage line-up. It’s called the SX Turbo and is powered by a Theta II 2.0-liter Turbo GDI engine with an output of 256 HP. These figures make it the most powerful model in the line-up. Next to the impressive engine, the SX version will also get distinctive features on both the exterior and interior. 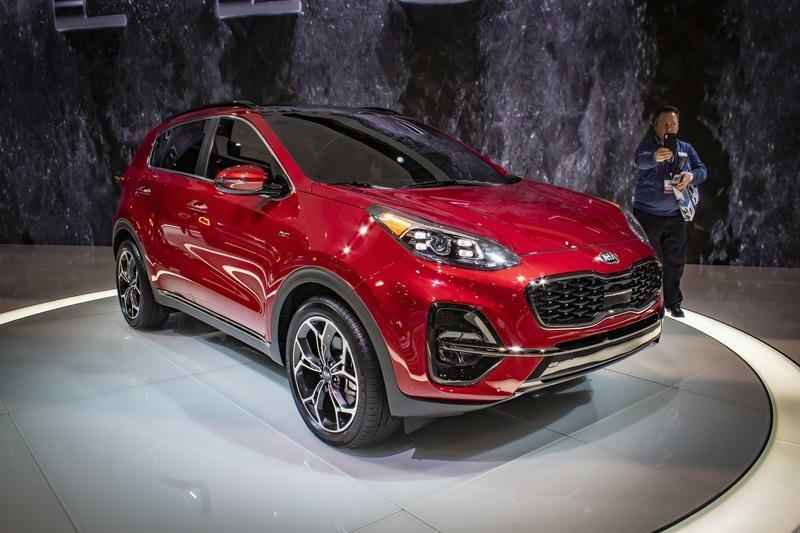 "Sportage offers an ideal mix of performance, fuel efficiency and utility for the discriminating compact CUV buyer," said Michael Sprague, vice president, marketing & communications, KMA. "With the addition of a more powerful Turbo GDI engine, unique interior appointments and improved performance, the Sportage SX makes an already appealing CUV even more fun to drive." The new Kia Sportage SX will go on sale later this month, with prices starting from $25,7952 for the FWD version and at $27,2952 for the AWD version. Hit the jump to read more about the 2011 Kia Sportage SX Turbo. Kia is bringing back the days where if two men had a problem with each other, they would choose their weapons, count to ten, and do battle. What the heck are we talking about? Two custom Sportage concepts that were created by Antenna Magazine for taking part in "The Duel." One of the concepts is painted in matte red and is called "Play" while the other is in metallic blue and is called "Work". The Sportage Play gets new 20-inch MRR HR4 wheels, a custom Yakima roof rack outfitted with a red and black Cannondale QuikFX Bike with unique bike pedals and seat. Illuminating the path to the technological future is the iPod Touch fitted right in the center control. The cargo area out back gets transformed by a custom-painted locker, motorized stainless steel barbecue grill, and a 22-inch LCD television. Tailgating anyone? The Work version gets a full closet and dressing station fitted nicely within Sportage’s spacious cargo area. This allows the professionals of the world to have their option of up to two suits, five shirts, and five belts for any work situation. The classic battle. So, which is it? Work or Play? 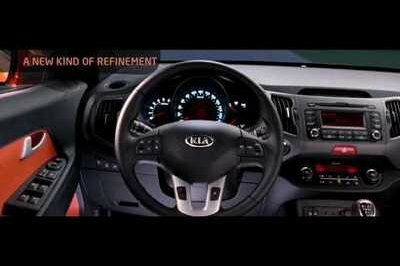 Kia is providing the market with a special edition that has nothing to do with the Soul? Well that’s a little shocking to say the least! Just after Kia’s price announcement for the 2011 Sportage, the South Korean car manufacturer has brought forth a special edition model for the little SUV specifically for the British market. 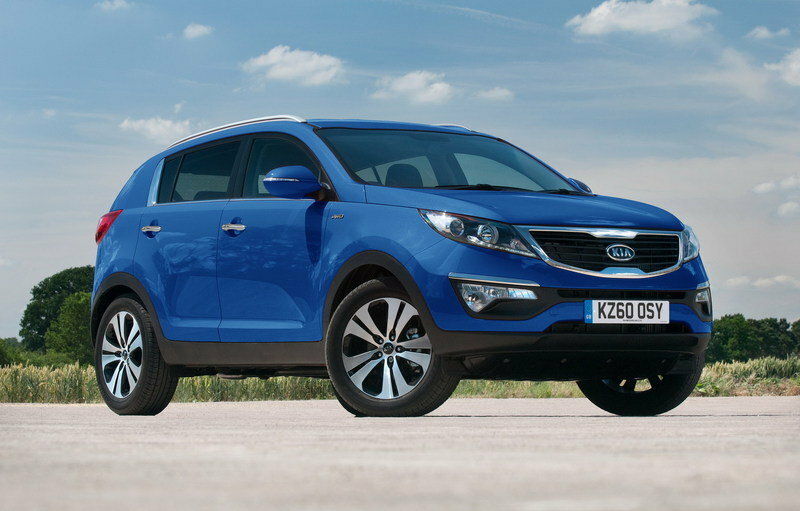 The Kia Sportage First Edition 2.0 CRDi AWD will be limited to 850 units and will be priced at £19,495. Ordering is now open with deliveries making their way to customers in October. The Kia Sportage First Edition will be offered with Black leather upholstery, dual-zone climate control, 18” alloy wheels, LED daytime running lights, Bluetooth, cruise control, rain-sensing wipers, and a color rear parking camera system integrated into the rear view mirror. It will be available in four exterior colors: Clyde Blue, Phantom Black metallic, Silver Storm metallic, and Techno Orange metallic. Under the hood there will be a Theta-II 2.0 petrol engine that delivers 161 HP at 5,200rpm and 194 Nm torque at 4,600rpm. It makes the 0 to 60 mph in 10.3 seconds and can hit a top speed of 113mph. 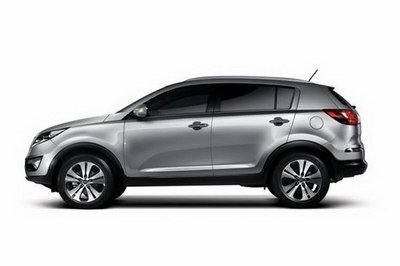 The Korean automaker Kia has officially released details about the next generation Sportage SUV, the 2011 Kia Sportage. Sharing the same platform with its compatriot, the Hyundai Tucson, the 2011 Sportage looks to have the leg-up on the Tucson in terms of being a little bigger and wider, which should translate into having a roomier interior. The design for the 2011 Sportage also seems to have benefitted from the supervision of Peter Schreyer, whose previous design work with Audi has seemingly translated into some of the aesthetic design cues that can be noticed in the new Sportage, including sharper curves, and a completely revamped front end that previous Sportage models didn’t come in. Featuring a fresh, bold, athletic and sporty design; longer, lower and wider than the previous generation model, the new Sportage will offer more space for people and cargo, with improved ride quality thanks to the longer wheelbase; the new Sportage will go on sale later this year, with a choice of both diesel and gasoline engines following its debut in March at the Geneva Motor Show. Updated 07/21/2010: Kia today announced prices for the 2011 Sportage that will go on sale in USA at a price of $18,295 for the base trim that includes: air conditioning, power windows, door locks and mirrors, SIRIUS® Satellite Radio capability with three months complimentary service, Bluetooth wireless technology and MP3 connectivity. Kia is celebrating the launch of their new Sportage model with the launch of a special edition. 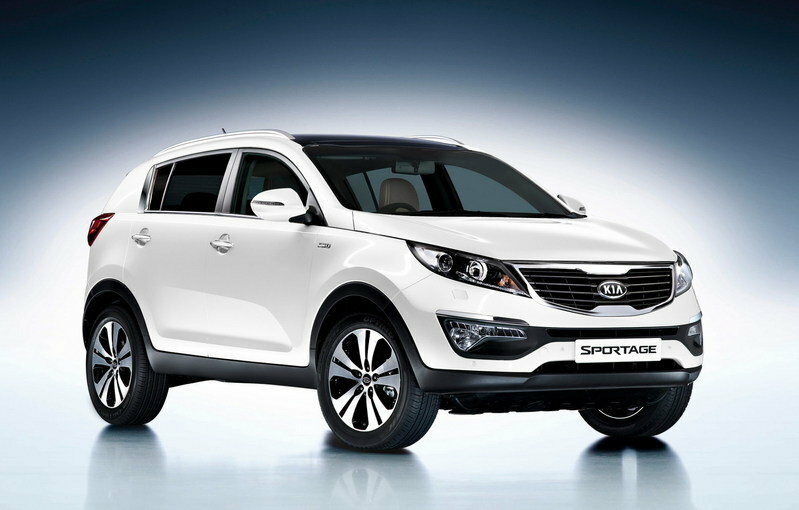 The new Kia Sportage First Edition will go on sale on August 1, 2010. The Kia Sportage First Edition will be available with an all-wheel drive system, a choice of manual or automatic transmissions, and an efficient common-rail turbodiesel engine. It will also come with a choice of five colors – including the striking Techno Orange. The First Edition will be distinguished by a full leather interior, dual zone climate control, automatic rain-sensing wipers, LED daytime running lights, and 18-inch alloy wheels. Featuring a fresh, bold, athletic and sporty design; longer, lower and wider than the previous generation model, the new Sportage will offer more space for people and cargo, with improved ride quality thanks to the longer wheelbase. 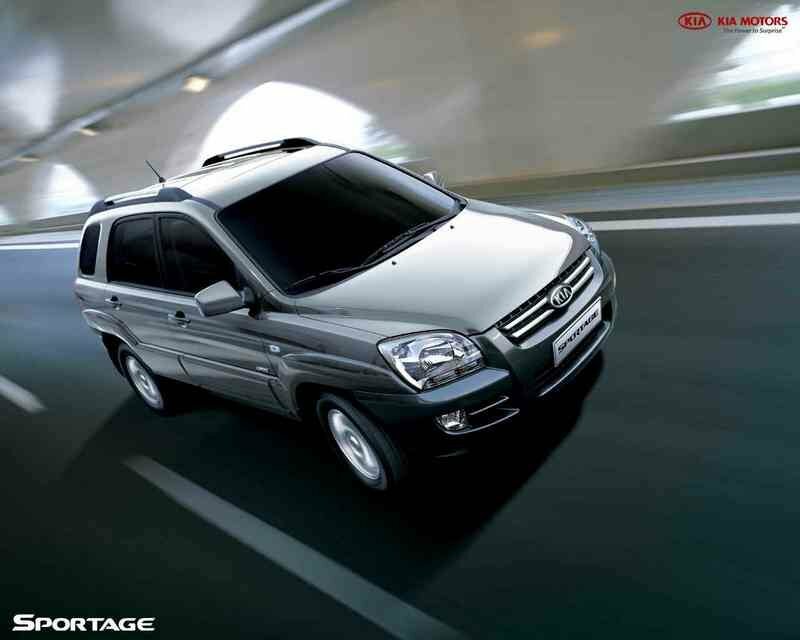 The 2011 Kia Sportage will be available with choice of both diesel and gasoline engines. For the most part, it’s hard not to agree with that; releasing one of the most entertaining promo videos helps a lot too. Combining colorful graphics with some pretty slick shots of the Tucson’s exterior and interior – we love the orange stitching on those seats – this promo video hits the mark in, well, ‘promoting’ the Sportage. Not to the full extent of ‘wow’, but close enough. The Sportage actually shares its platform with its local Hyundai counterpart, the Tucson, so if you can attest to the overall package of the Tucson, chances are you’re going to feel the same way for the Sportage. As it stands, the Sportage is set for a fall arrival in the US and similar to the Tucson, will also come with a 2.4-liter four-cylinder engine with a later option for a smaller 2.0-liter variant. Kia has officially released the first set of photos of its next generation SUV, the 2011 Kia Sportage. As far as technical details surrounding the new Sportage, Kia is still withholding information until the Geneva Motor Show where the car is expected to make its world debut. 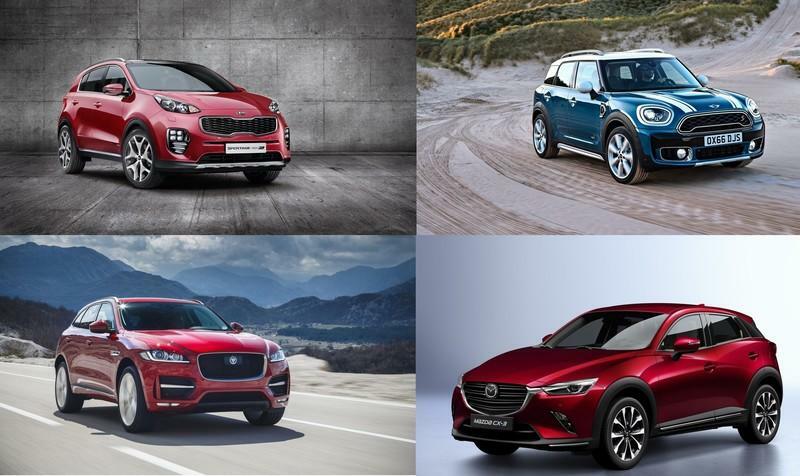 In the meantime, we can occupy ourselves with this set of photos and appreciate just how far Kia has come in the past years in terms of design improvements and aesthetic upgrades they’ve done to their vehicles. The Kia Sportage get thumbs up from US. 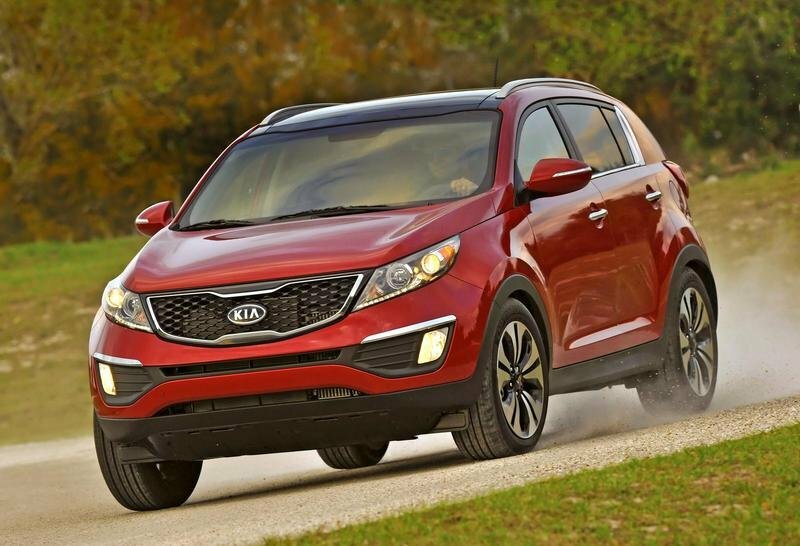 The Kia Sportage has been awarded the top safety award of five stars by the U.S. Department of Transportation’s National Highway Traffic Safety Administration (NHTSA). 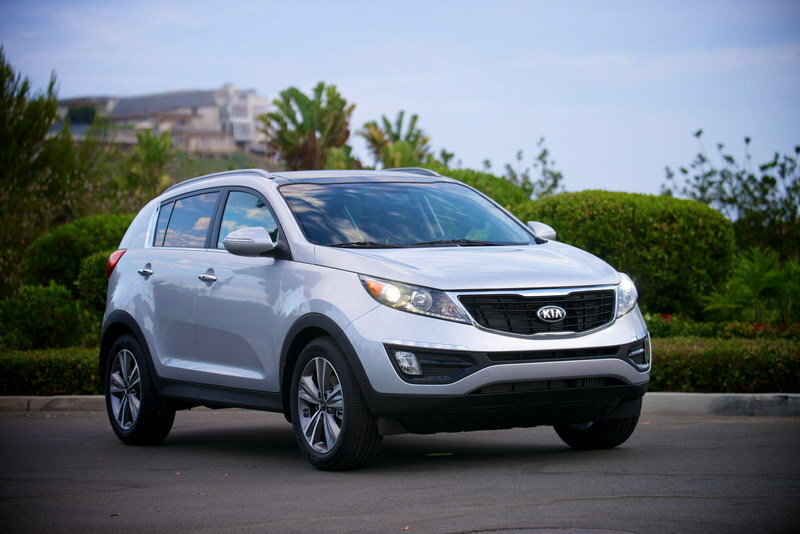 Following a nearly three-year absence from the marketplace, the Kia Sportage returned in 2005 to rave reviews. 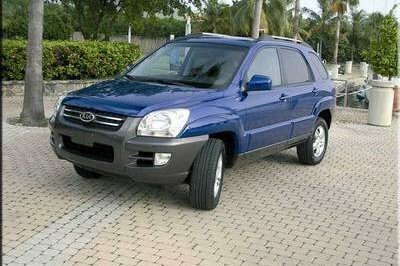 For 2006, the Kia Sportage will continue to offer the same combination of comfort, convenience and safety features while adding several notable features.